There is a hospital across the road, but even the pregnant women are too scared to go. A dirty stream runs between roofless buildings that are being reclaimed by nature. This is how some 1,500 former rebels live in the Central African Republic, languishing in a disused barracks in the capital, still armed. These are ex-Séléka, former members of the coalition of mostly Muslim insurgent groups from the north of the country who seized power here in March 2013 in a campaign marked by indiscriminate killings, rapes and looting. The group acquired the prefix “ex” after its leader, Michel Djotodia, declared the alliance disbanded in September 2013. Thereafter, many of its fighters dispersed into the countryside where they continued to commit widespread abuses against civilians. Others followed the new interim government's orders to confine themselves to sites like this. The rebels’ arrival in the capital Bangui prompted the re-emergence of Christian militias known as the anti-Balaka, and led to months of clashes between the rival communities. Violence between different groups has claimed thousands of lives and persists in many parts of the country, preventing the return of some 900,000 displaced civilians, both inside and outside the CAR. A crucial milestone in the peace process is due to take place later this month, in the form of the Bangui Forum on National Reconciliation, which brings together representatives of armed groups, political parties and civil society to discuss the problems at the heart of the country’s perennial crisis. Among other things, it should determine the future of many ex-Séléka. Some fighters could find themselves in the dock when a special criminal court, approved by parliament in April to investigate and prosecute those responsible for war crimes and crimes against humanity, begins proceedings. 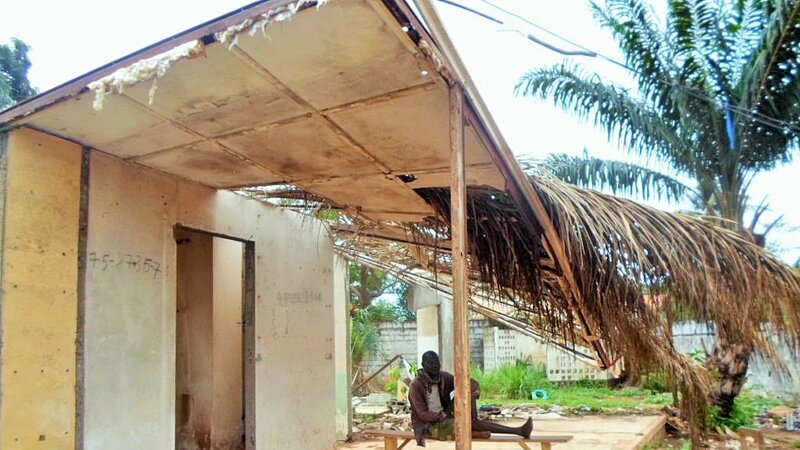 The ex-Séléka are so hated and afraid of reprisals they tend to stay hidden inside the dilapidated Beal barracks in central Bangui even when they're sick. One or two people die here each week without medical attention even though the main hospital in the city is just across the road, the former rebels say. Another ex-Séléka, Adam Hado, said that when one former fighter ventured out to visit family in Bangui, he was spotted by a group of anti-Balaka, who robbed him and beat him. Others who left the barracks have also been attacked, the Beal residents say. “We are rejected by our own families. We have been deprived of our rights and freedom to come and go,” Hado said. For the past couple of months, the ex-Séléka say, the government has stopped sending them food and money. To make ends meet, some ex-Séléka sell firewood and material such as doors, windows, roofing tiles, bricks, and floorboards from run-down buildings. Others have taken to begging just outside the camp. It’s a similar story at a second, smaller camp of 600 former fighters in far northern Bangui, which is known as RDOT after the operational defence regiment it used to house. All the fruit and avocado trees that once surrounded the barracks have been stripped bare, cut down for firewood. “If nothing is done soon, we will bring the city to a halt to demand our rights,” said a former fighter at RDOT, who preferred to remain anonymous. “We are here with our weapons, and we are capable of anything,” another resident said. On at least two occasions, the ex-Séléka have left their camps to demonstrate on the main road in Bangui, the Avenue of Martyrs, disrupting traffic and work in the hospital. “We have tried several initiatives with the government, sending petitions, but to no avail. Since they took no notice, we had to demonstrate,” an ex-Séléka spokesman who identified himself only as Steve told IRIN. 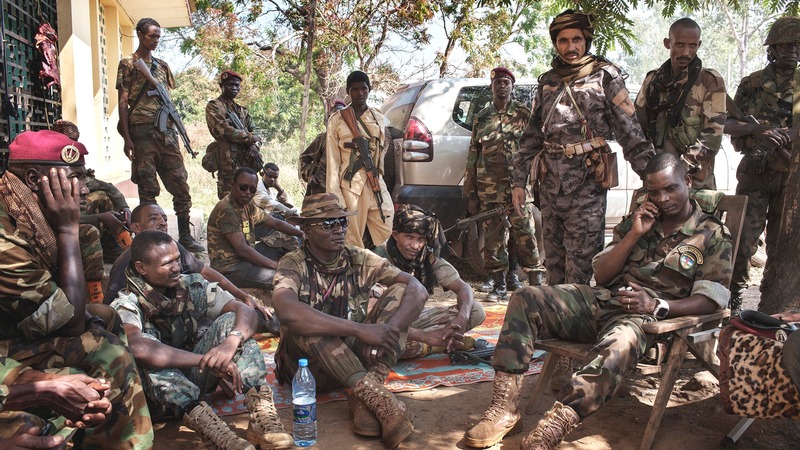 Last year, ex-Séléka fighters violently resisted efforts by French and European Union troops in the CAR to disarm them, and no formal disarmament, demoblisation and reintegration programme has been set up. The group is divided about whether they should hand in their weapons and take part in the national dialogue. “We are not ready to join the Bangui Forum. How can they ask us to talk when people still have weapons? I think it will be a fiasco,” said Hado, who called for full disarmament across the country before such a forum takes place. But others, mostly rank-and-file fighters who are fed up of life in the camps, want to participate in the forum as they see it at least as a possible route back to some normalcy. Human rights groups welcomed last month’s new law paving the way for the creation of the special criminal court, which will delve right back to all crimes in the CAR since a 2003 coup. “There is no time to lose for the government and its international partners to ensure that the special criminal court is up and running as soon as possible,” Amnesty International, Human Rights Watch, the International Federation of Human Rights Leagues and several other organisations said in a joint statement. استمر العنف في مختلف أنحاء جمهورية أفريقيا الوسطى خلال العام الماضي، على الرغم من صدور عدة اتفاقات لوقف الأعمال العدائية وبذل محاولات لإنهاء الصراع.